Everyone has to start somewhere. How about the beginning? This couldnʼt be further from the truth. CrossFit is by nature broad, general, and inclusive focusing on core physical movements that are critical to everyday functionality (think picking up your kids, carrying your groceries, and running to your car in the rain), health, and longevity. Who doesnʼt need these things? 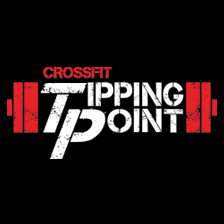 Come learn the fundamentals of general fitness and physical preparedness at CrossFit Tipping Point. Couch to CrossFit classes will teach you the nine basic CrossFit movements and include a workout of the day [WOD] to ramp your endurance, strength and stamina. Everyone has personalized goals like lose weight, build muscle, or run a faster mile, but few are coached properly in order to obtain these goals. Classes at CrossFit Tipping Point are performed in a small group setting where you will receive personalized coaching, attention and encouragement by your coach, and fellow athletes, to achieve your goals.